Discover India – North India Tour with family, a travelogue. T. P. Gopinath, January 19, 2019. This is a story of our epic two-week tour of Delhi, Shimla, Amritsar, Dehradun, Haridwar, Rishikesh, Agra, Kullu Manali, Rohtang Pass, and Chennai. Traveling in India is one of the most soul fulfilling experiences for any traveler who loves variety in destinations. Due to the variety of destinations, different modes of travel available, and relative cheaper cost compared to foreign destinations, India is a welcome destination for any aspiring Indian or foreign tourist. Few other countries will offer you a treat of Hill Stations, Deserts, Beaches, National Parks, cultural, historical, natural, wildlife, religious, adventurous, and many such, often very contrasting themes. I am calling this tour of North India with the family as, ‘Discover India’. This was not the first extensive trip for me in India. I have travelled extensively prior to this one. I and my wife covered some of the destinations covered in this travelogue earlier. As far as the children were concerned, for them, yes, this was the first time, India in plenty! However, whatever travel I have undertaken till now, that covered miniscule of Indian travel destinations. Country is worth one life time full of travel. Versatilities of its geography, people, travel themes are matched by hardly any other country. If you also consider its different languages and culture, you are truly in unchartered territory. If there is one country I want to keep exploring, that is India! It is my stern belief that this is just the first episode of ‘Discover India’. There are already many new targets as the next travel destinations at the back of my mind. Realization of those travels will be at the minimum soul fulfilling ones. Whatever perils and obstacles on the way are just one to overcome and move on! 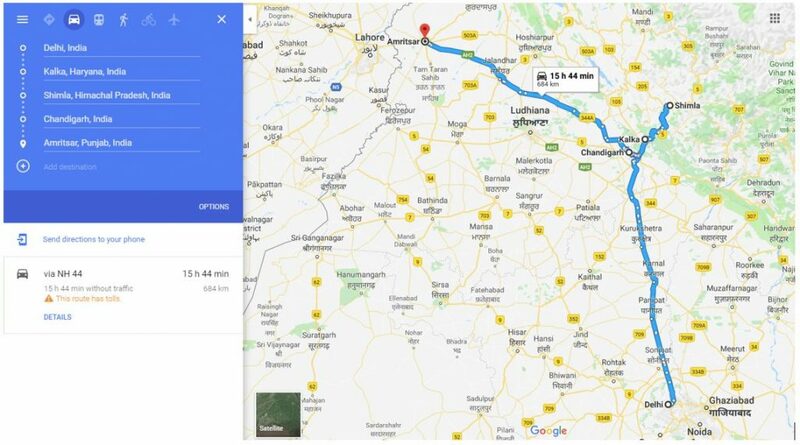 Google maps showing the parts of the travel. Manali, the ultimate hill station is next on the itinerary. Back at Delhi for the great North India tour. Finally, reach the south India where we belong. Online Sites and Apps Used for the tour planning. Google map – the ‘directions’ feature. IRCTC (Indian Railways ticket booking) App / Site. Own Travel vs Package Tours. Usage of New Delhi Railway Station Cloak room. Manali – the toughest one to crack due to distance. Money wasted in Agra Trip – remember this advice. Loss of Udaipur – Unfortunate cancellation. Another regret – not traveling when it snows. The family in this story is me, Gopinath (the author), Joshina (my wife), Gayathri (my daughter of 13 years) Nandakishor (13 years). They are twins, by the way. Article has been formatted as one primary article (this one) that will branch out to sub articles (separate blog posts) for every major travel destination. Hence while all general discussion is centered in this page, each major travel has been separately published and linked from this primary article. Started from Dubai and landed in Delhi. Delhi > Chennai > Kerala. The Regrets – Viceroy lodge, visit to Oberoi Wildflower Hall, Kufri, some plantations. Golden temple, Jallianwala Bagh, Wagah border. The Regrets – a farmer’s house in the village, Punjab being “Granary of India”. Taj Mahal, Agra Fort & Radha Rani temple in Mathura. The Regrets – Fatehpur Sikri in Agra and not visiting the Krishna Janmabhoomi temple in Mathura. We started at the Sun Hotel in Haridwar. The Regrets: Lakshman Jhula, Ram Jhula, Food at Aloha on the Ganges hotel. Dehradun: Forest Research institute (just outside the complex). The Regrets: Doon school & a longer stay. Kullu: Visited the Vaishno Devi temple. The Regrets: Beas Kund, not visiting in winter, Staying longer. Hotel we used at the Manali was Hotel Thomas Villa. We visited Qutub Minar, India Gate, Red Fort, Raj Ghat, Akshardham temple, Nehru place, Metro ride and Express Metro ride, Carol Bagh market shopping, Connaught place, Indira Gandhi Museum, Gandhi Smriti, Top educational institutions premises. The Regrets: Palika bazar, Rashtrapathi Bhavan, longer stay to explore more. Hotel we used in Delhi was Delhi Darbar in Carol Bagh and we shall recommend this budget hotel to any would-be traveler. Parthasarathy temple, Kapaleeshwarar Temple, Marina beach. The Regrets: Mahabalipuram, longer stay and exploration. End of June 2018, we left Dubai where I work and live, for an extensive tour of North India. It was planned over several months as bookings for the stay and travel had to be done. Planning was complex due to the zigzag locations of the places planned. Being an expatriate, you always sit with your passion for travel, unable to ever easily execute the plan due to waiting for a suitable time. Two things hamper your plans being an expatriate with a family and children studying. First is the need for your official leave dates coinciding with the children’s. Second being the large number of baggage’s that an expatriate normally carry home going back after more than a year, every time. This makes it difficult to go for a tour elsewhere before you reach your home so that you can leave the luggage’s. I had a plan to overcome the luggage issue. I planned to send items to Kerala (my home town in India) over land cargo from Delhi which was the city at the center of our travel and first port of call. I had a concern over the speed of the cargo delivery back home, because I needed it there at least by the time we arrive after the travel, but decided to take that risk, finally. The land of Burj Khalifa, where I live, is a top destination of tourists from across the world. However, what India has to offer in variety of tourist themes starting from deserts to snow clad mountains is something a modern city of Dubai’s travel themes is incapable of offering. Let me cut the story short here, on the 28th of June 2018, we left Dubai by SpiceJet off to Indira Gandhi International Airport in Delhi. This section contains an index and link to each travel. As mentioned in the introduction, articles that detail different travels have been separately published for ease of editing and to retain their individuality. The published travel articles based on their destinations have been linked below and in this section. You will be able to return to this page where there is primary story, from the top and bottom of each sub articles or by using browser back buttons. This is the start of our tour. The day that we got before travelling to Shimla in the evening was spent visiting few of the Delhi’s spots. Please click on the below link to read about the first part of our Discover India travel with family. Arriving at Delhi – Discover India – North India Tour with family. By the evening of the first day, we moved to Kalka to travel to Shimla by the celebrated toy train on the Kalka Shimla route. Please click the below link to read the second article of our north India travel. Next, we cover Shimla, the Queen of India’s hills. Shopping, a visit to the temple on the hills and moving through places where beautiful Devadaru trees decorate the skies of Shimla, form this part of the travel. Arriving in Shimla – Discover India – North India Tour with family. Amritsar is Punjab states capital city and a city that lies not very far from India’s border. The city has Golden Temple to visit and the great Wagah border ceremony to watch. 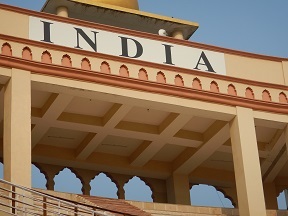 Golden Temple, Wagah Border & Jallianwala Bagh – North India Tour with family. An illness followed by Agra tour – Discover India – North India Tour with family. Haridwar and Rishikesh are cities where Ganga becomes very holy. Two cities deserve some allocation of time from a true seeker of India’s soul. Haridwar, Rishikesh, and Dehradun – Discover India – North India Tour with family. We must have travelled in the winter. But even in the height of summer, the climate in the hill town was great. Journey to Rohtang Pass will feel like you are going to heaven in a car, such is the natural beauty on the way to this 4,000-meter-high mountain pass. Manali, Rohtang Pass – Discover India – North India Tour with family. After the long visit to Manali, we came back to Delhi again, this time with two days in hand. We went over the remaining tourist spots to visit and yet leaving some more for the future. Second leg of the Delhi Tour – Discover India – North India Tour with family. Mainly targeting to visit Gayathri’s dance idol Harinie Jeevitha, we reach the great city of Tamil Nadu’s Chennai from where we depart to Kerala, for the final trip. 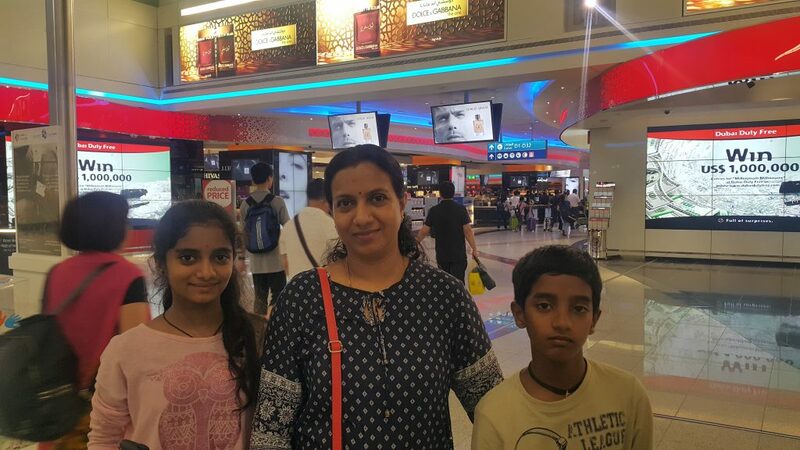 Arriving in Chennai, the last leg – Discover India – North India Tour with family. Often you want to know the distance to your travel destination and other tourist place or major cities you may be passing through. Google Maps directions feature is a very good way to handle this requirement. 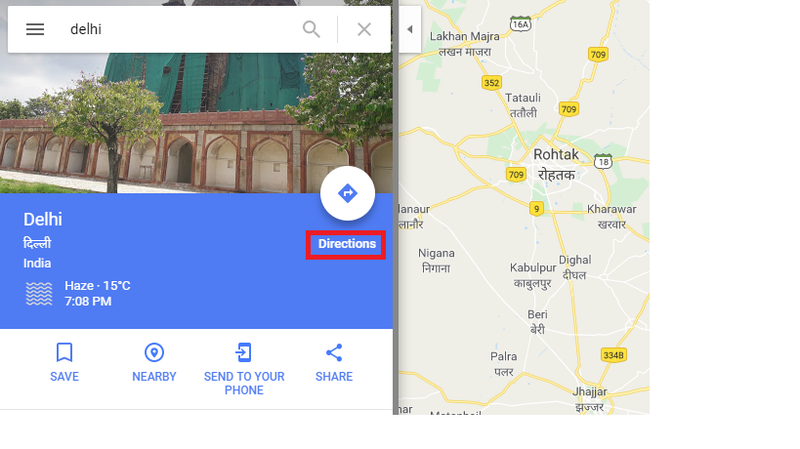 Once you open the Google map and type any place name like tin the picture below, where we typed Delhi, you will see the ‘directions’ option. Once that is clicked, you will have options to feed multiple place names. This is a good method to understand the distance between two places you may want to travel to. Picture: Directions option in Google map marked in red rectangular box. The details option that you see below ‘via NH 44’ will give you full distance and time taken details from one place to the other. Map on the right pane will help you see the important centers that you are passing through. In this way, you can easily make slight changes to the plan and visit an additional destination of tourist interest. Extensive travel across India is almost impossible without using trains. If there is any mode of transport that will help you reach most of India in a comfortable manner, that’s the originally British built, the great Indian Railways. Rail travel has a certain comfort, safety, and they are prompt in their schedules. Many of the destinations we travelled could have been made by using buses. However, buses are not that comfortable for long duration travels due to the lack of proper sleeping facilities, the shock and awe based on road conditions, and difficulties with handling the natures call from time to time. If I was alone, I wouldn’t have bothered much about travelling in bus. However, when you have family to care for, you have the additional worry about their safety. Buses stop at some way side restaurants for food and using the comfort stations. However, we can never tell whether these are decent ones and whether the buses will stop for enough time is a concern. Also, when you have luggage to worry about, busses are not very convenient if your travel in India is expected to be more than about five hours from the source city to the tour destination. Coming back to the topic. IRTCTC (Indian Railway Catering and Tourism Corporation) app is a very convenient and modern method to book your Indian train tickets conveniently. You also have a way to create a master passenger list in the application that will further ease the convenience of your booking. Hence IRCTC app was extensively used for my tour of North India with Family. Below picture shows how the app looks. 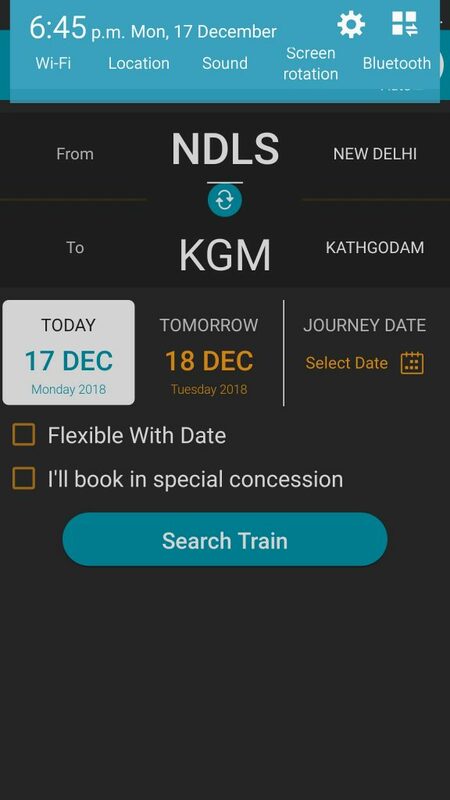 If you have no need for the convenience of the app or have easy access to web and master passenger list has been already created, it may be a good idea to carry out the railway booking through the website than the app as you get the convenience and viewing area of a larger screen with more options. Picture: View of the IRTCTC mobile app. Trip advisor was used during our epic north Indian tour planning for mainly three purposes. In the places you visit, you may want to decide the many local destinations and choose. Tripadvisor is a good tool and a great resource to make these decisions. Even if you are booking hotels using some other app, Tripadvisor can be used to research the hotels. There are many photos uploaded by visitors on the site which can be used for both to decide the places to see and hotels and restaurants to go to. I have made use of MakeMyTrip app during my previous solo trips to the North India. It worked well for Hotel booking as well as flight bookings. So, I had that trust in it. However, this time, I have been trying for days together to get an SMS to my Indian phone in UAE. This never worked in spite of several days’ effort and talking to their support. The above-mentioned incident dented my confidence in the app and their support. However, after using Oyorooms application and apparent disenchantment with it due to certain not so transparent features, I went back to using MakeMyTrip for all the bookings. After landing in India, SMS feature started working fine also. Hence most of the trips hotel and domestic flight bookings were done using this app. Additional apps / sites for your travel planning. Oyorooms have become a major Indian phenomenon and an online success. They have collaboration across India and they seems to be doing a good job. We had our Shimla booking done through the Oyo and it went well. However, we couldn’t even locate their Amritsar hotel and calling the call center didn’t help in getting directed correctly even with a local driver. The hotel name being partly converted due to the Oyo branding, for me felt very confusing as I was making my own travel plans and staying decisions. Finally, in Amritsar, we had to find a new hotel almost at midnight and go through rather scary Amritsar’s narrow city roads. This one is hard to pronounce. But their site features and options like extensive bus booking facilities need to be appreciated. I have liked this app though I didn’t make serious use of it during our travel. But it will be one to consider as a trusted tool during your travels in India. When you travel, you explore. You see new places, new people, new cultures and come across different languages. If we’re going to be led at every point where to go, helped with the travel, if someone else decided what and when you will see things that takes the exploration away. Minus exploration I see much less fun in my travels. My style can be described as the following. Decide where to go, do the research. Plan the number of dates. We have made an extensive use of New Delhi railway station cloak room during our trip. This helped not carry all luggage all the time along with us. We were making use of the cloak room on the platform number one. There is a cost to it based on the number of luggage’s and the time kept there. But especially if you are making use of trains for travel, this is a good way to make your movement easier. They have been very safe and secure. I believe it is manned 24 hours as we never had a problem finding the staff there. You need to buy some locks for the bags which is sold by someone just outside the cloak room. Overall, it is our serious recommendation that if you are planning extensive travels making use of flights, trains, cars centered around New Delhi and for extended period, you can make use of this facility to leave some luggage back and pick it up conveniently later on. As far as visiting places are concerned during this travel and many prior travels, I was not so thoroughly confused as this destination. The issue was; however, you need at least seven hours to reach Manali. That is if you are approaching from Shimla. Other two approaches are from Chandigarh or Delhi. Both of which are 10 – 14 hours or more. Best from Chandigarh will be 10 hours by car and Delhi will be 12 hours. But you know, the road conditions in India are not always great and a delay can push you by several hours by which your whole onward plans can be compromised. Also, it is not very nice to sit in a confined space like in a car for several hours straight. I have been dreaming of Himachal Pradesh setting up high-speed mountain railway that will enable me to reach Manali in two hours from Chandigarh. I truly believe it will be a big boost to the region and the Indian tourism in general. Only solace in the Manali trip that will reduce your boredom and discomfort during the road journey, is river Beas’s panoramic views that accompany you most of the way. It is a remarkable journey through the hills. However, the bad part is long sit in that you have no way of escaping. Bus might be better but then, I didn’t feel very comfortable as far as safety is concerned for such a long travel. One trip on which I wasted some money due to lack of planning was taxi trip to Agra. It could have been easily undertaken through train. You have two ways to travel to Agra and Mathura, if you are combining it and do not want to use two modes. That’s by Bus or Car. If you are travelling only to Agra, you can get so many trains and some of which are very high speed. That’s very convenient as well as less time consuming. Only if you want to combine, Mathura with Agra look at the bus option or Car option. There are day tours available through bus services such as Panickers Travels from Delhi. However, if you want to return at a specific time such as in our case to proceed on our next travel, this will be difficult. If you are booking a cab, at the minimum ensure that you go for Uber like facilities where you can track the cost more easily during the travel or at the time of booking or ensure that you negotiate before you commence your travel. I﻿n﻿ o﻿u﻿r﻿ ﻿s﻿p﻿e﻿c﻿i﻿f﻿i﻿c﻿ ﻿c﻿a﻿s﻿e﻿,﻿ ﻿I﻿ ﻿e﻿n﻿d﻿e﻿d﻿ ﻿u﻿p﻿ ﻿p﻿a﻿y﻿i﻿n﻿g﻿ ﻿s﻿e﻿v﻿e﻿r﻿a﻿l﻿ ﻿t﻿h﻿o﻿u﻿s﻿a﻿n﻿d﻿ ﻿r﻿u﻿p﻿e﻿e﻿s﻿ ﻿m﻿o﻿r﻿e﻿ ﻿t﻿h﻿a﻿n﻿ ﻿i﻿t﻿ ﻿w﻿o﻿u﻿l﻿d﻿ ﻿h﻿a﻿v﻿e﻿ ﻿c﻿o﻿s﻿t﻿ ﻿i﻿f﻿ ﻿I﻿ ﻿j﻿u﻿s﻿t﻿ ﻿t﻿a﻿k﻿e﻿n﻿ ﻿u﻿p﻿ ﻿A﻿g﻿r﻿a﻿ ﻿a﻿n﻿d﻿ ﻿b﻿y﻿ ﻿t﻿r﻿a﻿i﻿n﻿.﻿ ﻿A﻿l﻿s﻿o﻿,﻿ ﻿w﻿e﻿ ﻿c﻿o﻿u﻿l﻿d﻿n﻿’﻿t﻿ ﻿m﻿a﻿k﻿e﻿ ﻿i﻿t﻿ ﻿t﻿o﻿ ﻿t﻿h﻿e﻿ ﻿t﻿e﻿m﻿p﻿l﻿e﻿ ﻿i﻿n﻿ ﻿M﻿a﻿t﻿h﻿u﻿r﻿a﻿ ﻿t﻿h﻿a﻿t﻿ ﻿w﻿e﻿ ﻿i﻿n﻿t﻿e﻿n﻿d﻿e﻿d﻿ ﻿t﻿o﻿ ﻿g﻿o﻿ ﻿d﻿u﻿e﻿ ﻿t﻿o﻿ ﻿t﻿i﻿m﻿e﻿ ﻿c﻿o﻿n﻿s﻿t﻿r﻿a﻿i﻿n﻿t﻿s﻿.﻿ ﻿S﻿o﻿,﻿ ﻿t﻿h﻿e﻿ ﻿a﻿d﻿v﻿i﻿c﻿e﻿ ﻿i﻿s﻿,﻿ ﻿l﻿o﻿o﻿k﻿ ﻿a﻿t﻿ ﻿g﻿o﻿i﻿n﻿g﻿ ﻿t﻿o﻿ ﻿A﻿g﻿r﻿a﻿ ﻿b﻿y﻿ ﻿t﻿r﻿a﻿i﻿n﻿ ﻿s﻿e﻿r﻿i﻿o﻿u﻿s﻿l﻿y﻿. Not being able to travel to Udaipur due to family’s ill health was very upsetting. However, luckily the family was back on our feat by the second day evening. In Rajasthan, major tourist destinations are given below. Jaipur, Udaipur, Jodhpur, Jaisalmer, are the top destinations. While all are great options, Udaipur carries a certain charm that in my opinion is the result of the beautiful lakes in the city. The view of the stunning Lake Pichola and the Taj hotel in the middle of the lake will be enough for any nature loving traveler to fall in love with this historic Rajasthan city. It has the lakes, the forts, and beautiful hotels for any would be travelers delight. After careful planning all bookings were done for us to go to Udaipur as part of the epic North India family tour. Below, you can see the view of the Taj hotel in Lake Pichola from the hotel we were supposed to stay in Udaipur. Gayathri still reminds me of the loss of Udaipur, she loved that hotels looks as I booked, though she started the health scare that threw our plan out of gear, unwittingly. Aashiya Haveli – view from the lake facing hotel we were supposed to stay in Udaipur. One spoiler during our tour all out was since it was July month, it was relatively hot and that for me personally was very distressing. Given an opportunity I shall be very interested in choosing a cold climate before future travels. Preferably October, November and February, March to avoid the extreme winter months of December and January. But if you want to see the snow, December and January are not bad months either. Snowfall in India is expected to happen on different months and in different places. Hence, please do not assume my opinion as accurate. My own experience in Dhanaulti close to Mussoorie has been snow in January. 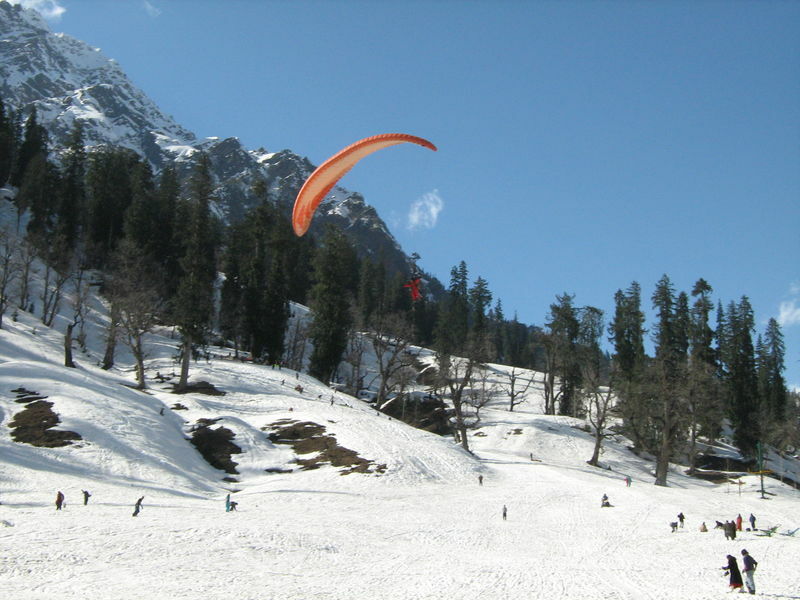 Paragliding in Manali’s Solang Valley which we visited. Retracing our steps and mode of Travel. Period of Travel June 28 – July 13th. Chennai > Kerala – Train. As I have already mentioned, not many other countries can boast of the type of geography, tourists’ themes, and versatility like India can. With an honest and committed push from the political class, I think that we can go to great heights with regards to tourism in India. A better infrastructure, which the current government under the leadership of minister Nitin Gadkari seems to be making good progress in creating, needs even more greater push because country’s needs are humungous. While traveling to Mathura and Agra, traffic till the city of Mathura was relatively alright although not on par with what you will come to expect. But once you reach the Mathura town, ready to move to your destinations, many things wear you down. It does not take a lot of money to keep a town like Mathura or a city like Amritsar, clean and neat. The lack here is the political will and ingrained issues in the system. Construction of a small bridge in my home town took ten years. Where I live, in Dubai, same bridge wouldn’t even take six months. This is clearly the lack of political will. British built (during their occupation of India) bridges are still very much in operation in India. We need a lot of change and lot of progress. Our country can undoubtedly become the greatest on earth. Provided we get great leaders and peoples attitude undergoes a change either through common discipline and learning or if required by force such as imposing fines for littering, polluting our rivers and numerous such damaging activities. If a city like Dubai can attract thousands of visitors from across the world without the presence of not many natural themes, India has the potential to do much more. Apart from the above main travel themes, India is a land of great cuisines that change from state to state. Lively shopping in traditional market places will make a tourist experience unforgettable also. If you look at the rebuilding our airports in Delhi, Mumbai, Calcutta, Hyderabad, and Bangalore have undergone, these are massive developments and great new terminals have been built over the past decade. However, most of the country’s railway stations need major upgrades. If you visit New Delhi railway station, just in the hallway as you enter, hundreds of people are taking rest right there. It is the same sight in numerous platforms of the station. I was thinking about a solution to the overcrowding of the railway station. The only idea I could think of was to build parallel lines of high-speed railway which India is now lacking so that the overcrowding of the existing lines can be controlled and while a more organized, state of the art, railway stations, trains are parallelly available which can be more easily and conveniently used by the national and international tourists. China is a country which has both high-speed trains and several thousand kilometers of city metro. Please do not assume I have any love for China. But I wonder, why my country cannot achieve these feats while we have all the resources and engineering talent to execute projects of any scale. What we lack is clearly the political will. India needs great roads such as the Yamuna expressway. Indians will not find it easy to afford the toll. But those who can afford and the foreign tourists on trips to tourist centers such as Agra can make use of good infrastructure. While improving the existing roads can be hard, laying new roads with better quality and width can go a long way in creating a parallel infrastructure. There is no limit to which India can grow and personally, I would like to see that growth in leaps and bounds and not at the current rate. I can only recite the poem from the great poet.